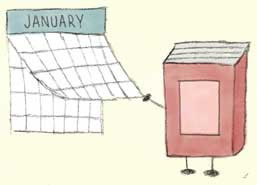 Whoa—is one month of 2015 already gone?! Yikes. I looked back at the recap for last January, and I feel I'm off to a much better start this year. I read some really great books this month and have been sticking to a pretty steady blogging schedule. I can't say how long both of those things are going to last, lol, but I hope to keep the momentum rolling. I am definitely in the double digits with series I started but haven't finished, lol. One of my reading goals for this year is to work on completing some. I completely agree with you on feeling like time only goes faster the older you get! I think you would like the Parasol Protectorate very much; I'm so happy that the first book in the spin-off series is releasing in March!